Expanded Limited Edition of 1200 units. To celebrate the 30th anniversary of the film in 2018, Music Box Records is very delighted to present the expanded release of one of the most prestigious scores composed and conducted by Georges Delerue. This present edition has been fully remastered from the original master tapes and features 26 minutes of previously unreleased music. The package includes a 12-page booklet with liner notes by Sylvain Pfeffer, discussing the film and the score. Limited edition of 1200 units. 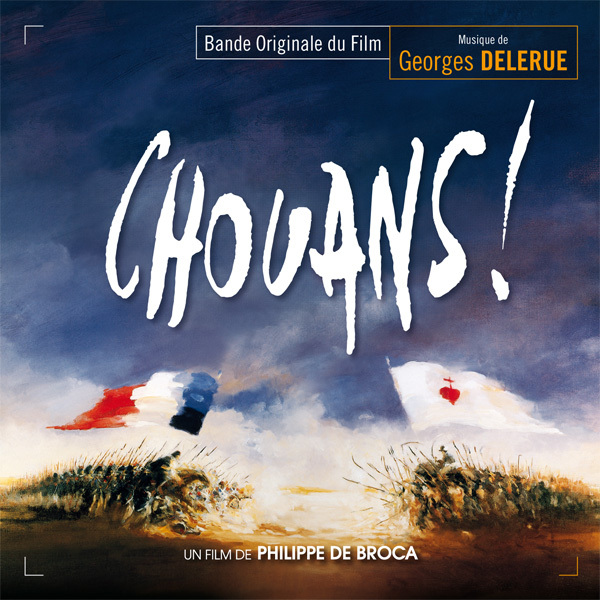 To celebrate this new CD release, get other soundtracks composed by Georges Delerue (only Music Box Records catalogue) at special price until March 18, 2018. Wonderful news!! Not only one of the rarest Delerue scores but one of his greatest efforts! Don't hesitate whether to buy it or not: buy it before it becomes out of print again for ages! It's a wonderful, majestic score by the French maestro, one of his best scores. One of my rare orders for a film I've never seen, but I think I'm going to love it. Only my second Delerue, I just have An Almost Perfect Affair. When it's a Delerue, it's a must-have; just like Miklos Rozsa. Ha, my copy is on its way to me, my first soundtrack purchase of 2018. I hope it's not the last. Where is out resident Delerue lover extraordinaire? I can't even recall his user name. My copy arrived yesterday, I played the first ten tracks & wow, did this guy have a gift for melody. I shall slowly get to know this soundtrack & see what other Delerue catches my fancy. Congratulations! You have a lot of beautiful and great music to discover. Remember when this topped the "most expensive soundtracks" lists? Unknown to Chouans, its quite shocking that I've never watched the film or heard the score before, I knew Delerue did the score, but i never got around to checking it out with all the great stuff labels keep producing. I'll listen to the samples knowing how good Delerue is its probable with another one of the maestro in my collection. Yes, it is a wonderful news as this expanded release was awaited since longtieme ! One of most awesome Delerue’ works in historical style. Well done, Music box, thank you. Ordered. Does Music Box ship to the US and take PayPal? I am having trouble with the site. Never have a problem with other European labels. Oh man, the short sample for that end title alone makes this a must-purchase. Can't wait! I've just enjoyed listening to it for a second time and can recommend it unreservedly to those who might be unsure if it's a worthwhile improvement over previous releases. It most definitely is, for both sound and additional content. Superb disc!